Increase performance from your M5 or M6 by 5 horsepower and 6 Ft./Lbs of torque with aFe Power Pulley 79-10003. 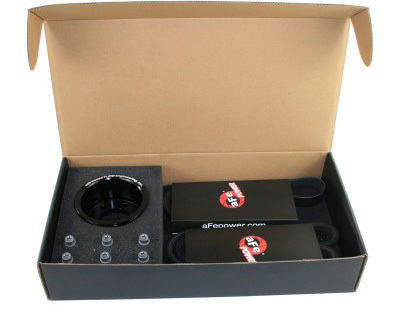 Complete your M5 or M6 with the newly released aFe M5/M6 Power Pulley. This aFe M5/M6 Power Pulley is 100% bolt on and just by installing it you can expect gains of 5 horsepower and 6 Ft./Lbs of torque. Most importantly the aFe Power Pulley does not change the factory harmonics or dampening of your engine. 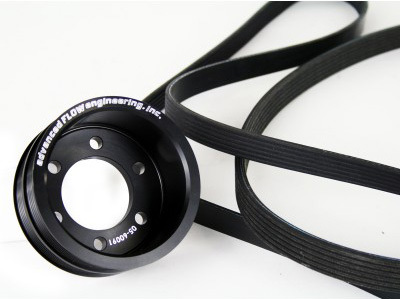 Finish your M5 or M6 with the aFe M5/M6 Power Pulley. As with all aFe products, quality is top notch. The aFe M5/M6 Power Pulleys are CNC machined from billet aluminum, and anodized black for an aggressive look in your engine bay and great durability. Belts are included with the kit as well.